Two men were taken to hospital after the car they were in was involved in an accident with a bus at the junction of Leng Kee Road and Alexandra Road on Monday evening (Jan 7). Stomper Lloyd was passing by the scene and shared photos he took with Stomp. In the photos, the front of the car is badly damaged. Its airbags appear to have been deployed as well. The accident apparently caused some congestion at the junction. 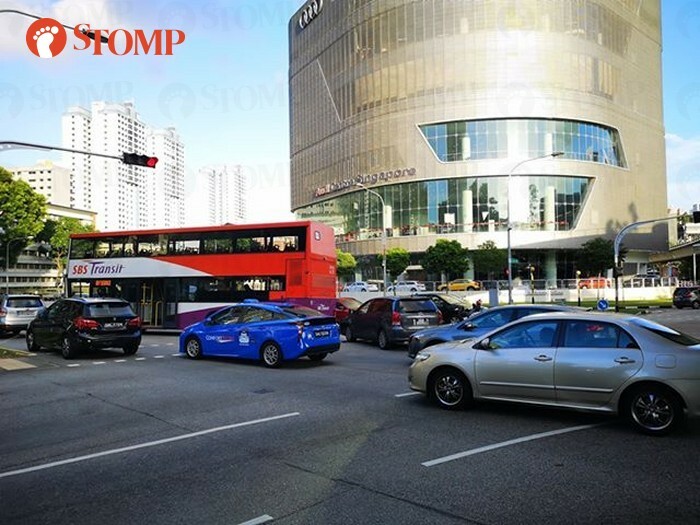 In response to a Stomp media query, a police spokesman said they were alerted to the accident at about 5.36pm. "The car driver, a 51-year-old man, and his 34-year-old male passenger were both conscious when conveyed to National University Hospital," the spokesman said.